A divorce trial starts with filing your Summons and Complaint with the South Carolina Family Court, properly serving the other party and then scheduling the trial. Here are some pointers. Do dress appropriately. Casual dress is fine but shorts or tank tops are not. BE ABSOLUTELY SURE THAT YOUR CELL PHONE IS TURNED OFF. Unless you are on the witness stand, Do stand up if the judge asks you a question and address her or him as “Your Honor”. Do speak up. The court reporter is recording everything that is said and she cannot record a shake of the head yes or no. Don't speak unless you are asked a question. Don't call the other party names. It may earn you a night in jail for contempt of court. Do make a good first impression. The judge will form a first impression of you and your case and will do so extremely quickly because of the sheer number of cases a South Carolina family court judge has to deal with. Once that impression is made, it will most likely remain fixed in the judge’s mind for this case and all future trials. Do focus on the important issues. The judge’s caseload limits the Court's ability to focus intently on every facet of every case. Therefore, the judge will spend the most time on what to the Court is most important. Issues regarding minor children, custody and child support, receive the Court’s undivided attention. At the other end of the spectrum are cases in which there are no minor children and the only issue is who gets the family dog. In order to successfully move your case through the Court system, you must prioritize the issues and focus on the most important ones. Don't be unreasonable. The judge does not have the time to cover every issue in depth and will expect the parties to try to reach a settlement. The more you appear to be reasonable and willing to avoid open conflict, the more favorable the judge will be in deciding the contested issues. Do be prepared. You need to quickly, accurately and truthfully respond to questions from the judge, your attorney and from the other side. Your credibility will influence the Court’s decision making process. Normally, there is no testimony taken at the temporary hearing. Each side submits sworn affidavits, a financial declaration and the attorney's for both sides argue the issues. Sometimes, the judge will ask questions of the parties. Based on this limited information, the judge makes a decision. The problem is that if the temporary order favors one party, that party has a superior negotiating position and can delay the final hearing for the divorce for several years. Therefore, it is essential that you assist your divorce attorney in obtaining the affidavits that support your position and any evidence in opposition to the other party's position. Often this will involve planning prior to actually filing the divorce. Normally the judge will order the parties to mediate in order to try and resolve the contested issues. If custody of the children is one of the issues, the court will also order that the parties retain a guardian ad litem to do an investigation. If the parties still are unable to resolve everything, the case will proceed to a final hearing. After serving the other party, there is a thirty day period in which they have the opportunity to file an answer to the divorce complaint. If your complaint is based on fault grounds, there is a sixty day waiting period after service before the divorce trial will be held and a ninety day waiting period before the final decree of divorce granted. However, if the grounds for the South Carolina divorce is based on desertion or the no fault ground of separation for one year, the divorce trial may be held and the decree issued after the answer has been filed or after the respondent has been adjudged to be in default, whichever occurs first. Your South Carolina family law attorney will try to help you and the other party resolve your case before the divorce trial date, but that is often simply impossible. If all the negotiations fail and you and the other party still have not reached an agreement, your last recourse is to have a divorce trial. The trial gives the family court judge the opportunity to hear both parties' wish lists, substantiated by volumes of documents, possibly witnesses, and any other information the parties think will persuade the judge in their favor. Your divorce trial will be very much like those you've seen on television and in movies. If you are the plaintiff, the party who started the action, your lawyer presents your case first. Your South Carolina attorney will probably call you to the witness stand, where you will be sworn in and asked to take a seat. After your lawyer has finished asking you questions, the other party's lawyer has the opportunity to ask you questions. Your lawyer has the right to object to improper questions, so give him time to do that before answering. It's also a good idea to take a moment before you answer to collect your thoughts. It is certainly possible for the pro se litigant to represent himself or herself at the divorce trial—but if there is enough at stake for you to get to this point, you might do best with a family law lawyer involved. After the cross-examination, your lawyer can ask you questions again; maybe your spouse's lawyer interrupted you while you were trying to explain something. Your lawyer can now give you the chance to present your explanation (your re-direct examination). After your re-direct examination, there can be a re-cross-examination. The questioning can go back and forth for as long as the judge will allow it. When there are no more questions for you, your lawyer can call a witness to the stand on your behalf, and the whole process starts all over again. After you have presented all your witnesses (in a divorce trial, it's often just you, your spouse, possibly your child's guardian ad litem, the court-appointed psychiatric evaluator, and expert witnesses such as an appraiser of real property or of a business), your side “rests.” It is now your spouse's turn to present his witnesses. The same questioning occurs, only the roles are reversed. Your spouse's lawyer conducts the direct questioning, and your lawyer cross-examines the witness. After your spouse (in this case, the defendant) presents her witnesses, your lawyer can call witnesses to refute what's been said (called rebuttal witnesses). After you've called your rebuttal witnesses, your spouse can do the same. It is the rare pro se litigant who has enough skill and experience to question an expert witness hired by the other side. When both sides have rested, the judge allows each attorney (or if there are no attorneys, the spouses themselves) to make a short, closing speech. He might ask that memorandums be submitted to him by a certain deadline. Sometime later, he makes his decision, usually in writing. After the judge ponders all this, she or he will make a decision. Because the judge has heard all the evidence and witnesses, a decision made by the judge at the divorce trial's conclusion is taken very seriously by the appeals court if you should decide to appeal. This decision should put an end to motions and conferences called for modifying temporary orders or changes in visitation schedules without a change in circumstance. Everyone has spent a lot of time, money, and effort at the divorce trial, asking for a subsequent modification might not do you much good, unless there's been a substantial change in circumstances that would warrant modification after the fact. One of the most frequent questions is "Will my ex have to pay my divorce attorney fees?" In a divorce trial, the family court judge had the complete discretion to order one party to pay the other party's attorney fees. 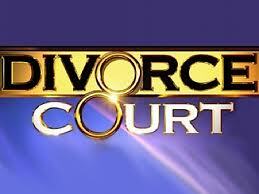 The award of attorney fees depends on the particular facts of the divorce trial. For a complete discussion of the law in South Carolina regarding the award of divorce attorney fees click on the link below. A guardian ad litem is a person, often a lawyer, selected by the family court judge and assigned to represent “the best interests” of the children. A pro se litigant is a party to the case that appears at the divorce trial without the assistance of a family law attorney. The court will hold that party to the same level of knowledge of the law and court procedure as a divorce attorney. Wayne is a South Carolina family law attorney including probate, elder law, trusts, child custody, special needs trusts and divorce.